If you are using Samsung SSD drives to save your important data in Windows then this article is beneficial for you. SSDs are very sensitive and always provide high performance. With this new Samsung Magician Windows 10 update, you can stay ahead with automatic updates, check drive speed and health, and enable drive fostering RAPID Mode, all with one easy download. Samsung SSD Magician also supports advanced features, like SSD performance management, benchmarking for optimal functionality, new firmware updates, etc..Samsung SSD Magician is specially designed for Samsung devices to allow users to keep track of SSD health status, Data Migration, updating the firmware, and checking the performance of your Windows Operating system. Samsung has released Samsung SSD Magician App for SSD tweaking, and optimization applications allow you change a whole lot of default settings that can increase your SSD performance. Also, this new Samsung SSD Magician update is compatible with Windows 10. 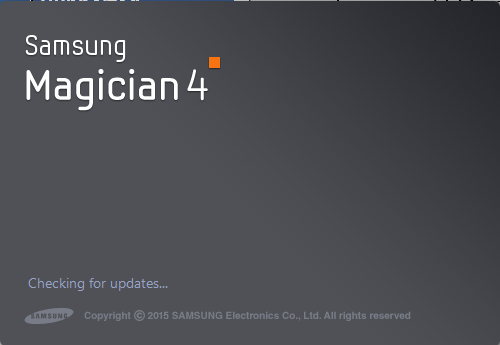 Samsung Magician applications v4.9 is now available with complete support for Windows 10 allow users to deal with the health and performance of the Samsung SSDs. And for people who are wondering, unlike its previous variants, Quick Mode and Rapid Cache can be used on Windows 10. 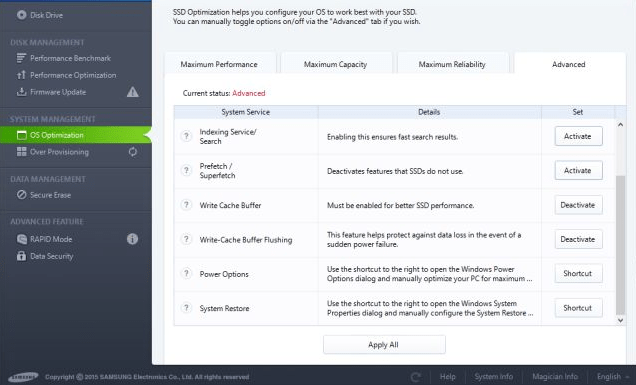 With Samsung Magician, you can increase and optimize SSD performance, optimize the SSD to your Windows 10, upgrade the firmware, and securely erase data. Latest firmware is available on Samsung Website. The size of Samsung Magician applications is about 18 MB and supports Windows 10, Windows 8.1 and Windows 7, both 32-bit and 64-bit. Many of its customers are complaining about the handicap of RAPID Mode on Windows 10, and the program promises to repair it. This new tool also supports benchmarking for optimal functionality, new firmware updates, etc. You can Select from three pre-defined profiles, such as Maximum Performance, Maximum Capacity, and Maximum Reliability.